Winnipeg then scored three times in the second to take control. 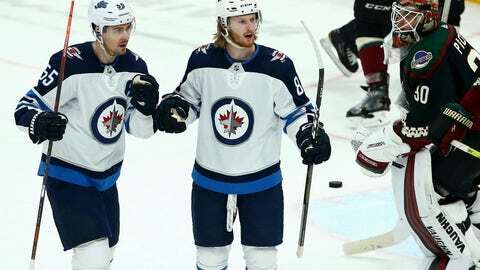 Trouba put the Jets ahead for good with his eighth at 2:35, and Connor scored his 34th to make it 3-1 with 9:55 left in the period – just 2 seconds after a power play ended but before the Coyotes’ fifth skater could get in the play. Ehlers gave Winnipeg a three-goal lead with 21st with 4:39 left.